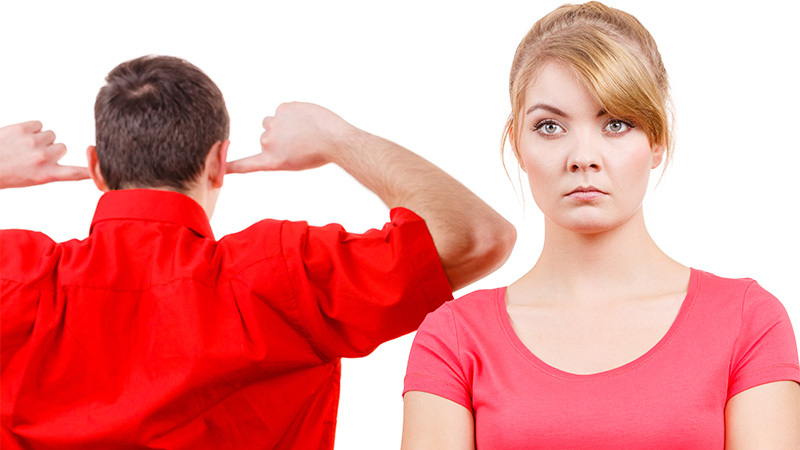 Dear Neil: My boyfriend refuses to communicate when there is an issue in our relationship. He would rather I simply never talk about it. If I dared to make suggestions to him about how to better deal with conflicts or issues, he would blow up. I’ve tried to have calm conversations with him on what I need to change, but all he says is that he doesn’t want to talk about any of our issues. He has fits of anger if I confront him about anything. I know I should just walk away, as this is killing me. Dear Unhappy: Every relationship has its share of disagreements, hurt feelings and misunderstandings. This is regardless of how happy or loving the relationship is, or how long you’ve been together. Being in an intimate relationship requires that arguments and wounded feelings be addressed and resolved in a timely fashion—or your relationship will inevitably become hurt, resentful, angry and distant. I am saying this about all intimate relationships, not solely about yours. Your boyfriend doesn’t want to talk about uncomfortable subjects that he might find critical or imposing—or possibly he may be asked to compromise or do things your way—so he uses anger as a way to intimidate you into silence. But the two of you cannot sustain a close relationship that way. This is why we have all heard people say that marriage requires a lot of work. A close relationship requires—at the very minimum—a genuine willingness to hear out the other person without interrupting, stonewalling, dismissing or belittling. It necessitates extremely good communication skills, which asks us to say calmly and succinctly exactly what we feel, need and want, and it requires that we be truly good listeners as well. A close relationship necessitates that we learn and practice effective conflict resolution skills, which in turn requires us to be willing to negotiate, compromise and problem solve so that both partners feel heard and respected. And it asks us to do this while repeatedly giving our partner the benefit of doubt and an assumption of good will. So, for starters, your boyfriend’s refusal to communicate, and his angry reactions if you attempt to discuss an issue or a conflict is destined to leave you feeling hurt, resentful and distant from him. Sooner or later you are going to have to draw the line. If you walk away from him, you will learn very quickly whether he is then willing to communicate and resolve conflict when he realizes that the relationship will end if he doesn’t. But even then, if he refuses to listen or blows up when you say something he would rather not hear, it will be time for you to end the relationship once and for all. Relationships ask more of us, not less. More desire to please, more interest in hearing you out, more willingness to engage, more ability to negotiate and compromise. If your boyfriend doesn’t want to do that, find someone else who will. You want someone who values how you feel and what you want, and who is willing to talk about it.